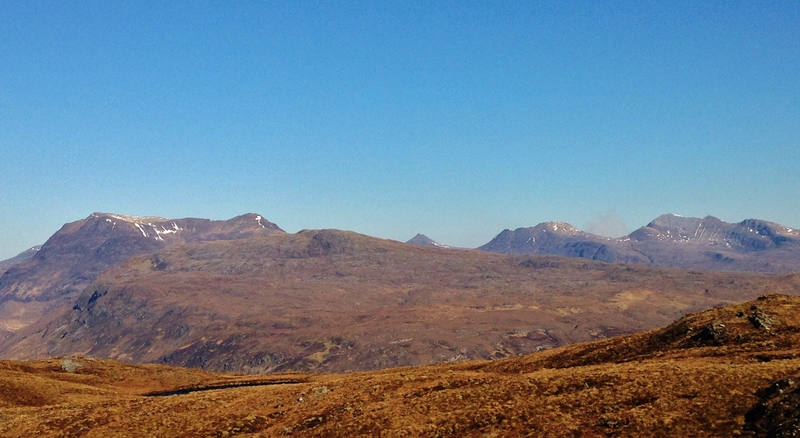 SAIS Torridon Blog » A Glorious Finale! Cloudless, plenty sun, but a cool Easterly wind persisted throughout the day. A lovely spring day to finish the season. 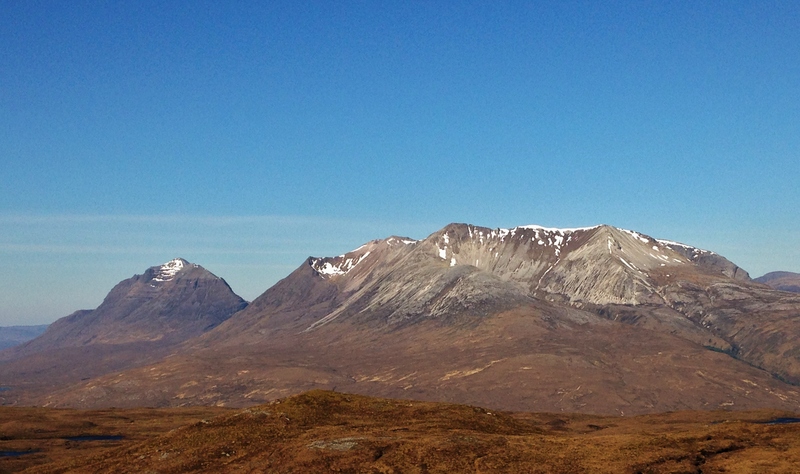 Yes, this is the last SAIS Torridon post and forecast for this winter. It’s been an unusual season as long periods of mild weather meant that the snowpack became very depleted at times and no real base developed. But, there were spells of heavy snowfall producing good snow cover and good skiing! Only brief periods of ice formed with most ice climbing out of condition. Thanks to all for your interest in our blog and forecasts throughout the winter and especially to those that made comments – always appreciated. Here’s hoping for a good winter next season. Enjoy the summer and take advantage of the current good walking conditions – it wont last forever! Andy, Sandy, Cube, Brian and Keith. 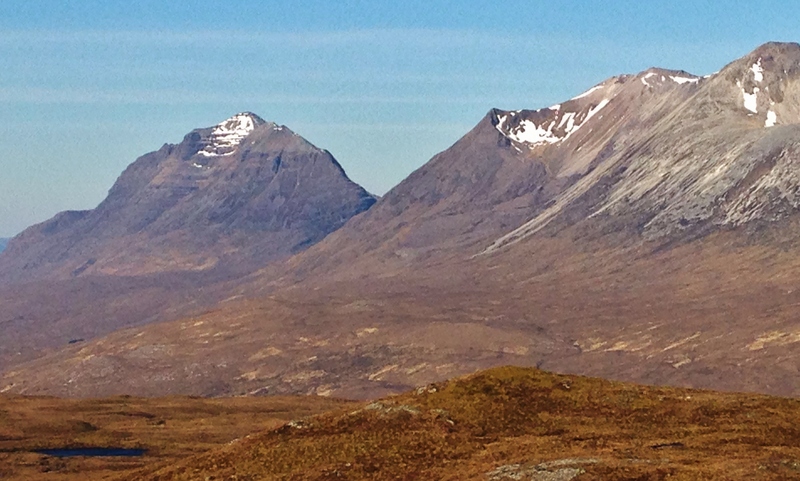 Liathach and Beinn Eighe. Very limited snow cover – but then that’s Spring! Thought I’d put in a closer view of Liathach and notably, Coire an Laoigh of Beinn Eighe – a well used location for our snowpack observations. 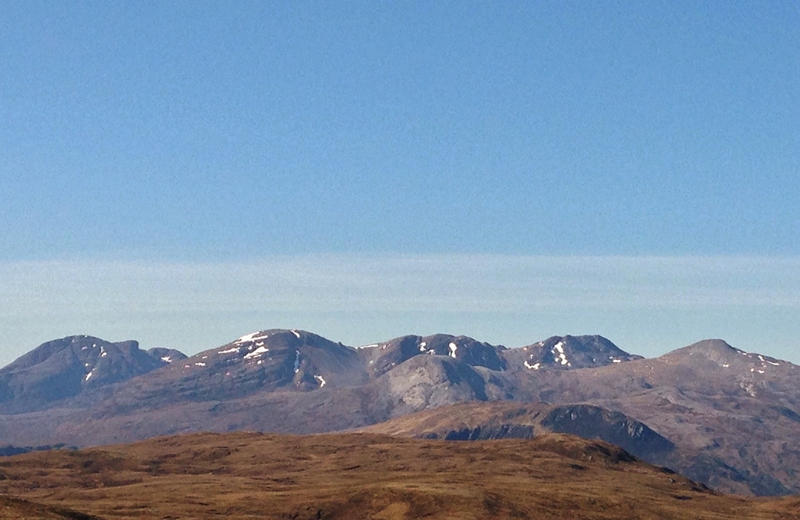 The Achnashellach mountains of (L – R) Fuar Tholl (Mainnrichean Buttress the prow on its right) and Beinn Liath Mhor. Beinn Liath Bheag and Sgorr nan Lochan Uaine in the foreground. Sgorr Ruadh peaking through in the background. 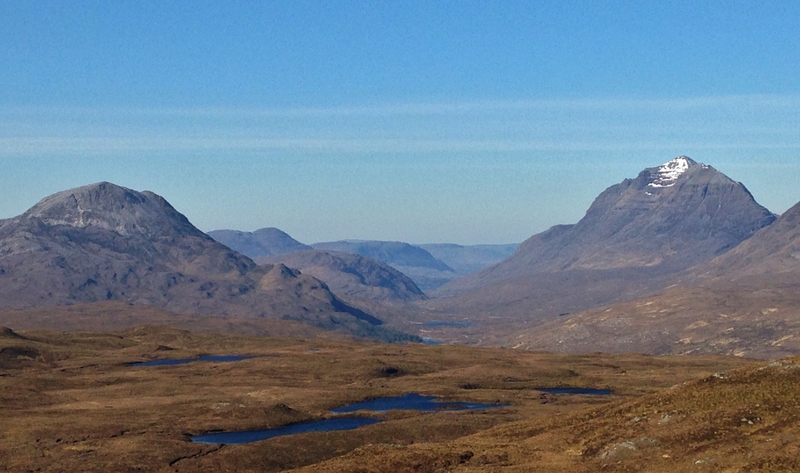 Slioch on the left and the Mullach Coire Mhic Fhearchair mountain range on the right. A final view looking down Glen Torridon. Thank you all involved in the reportage. It is very informative and appreciated. Thanks Phil. Have a good summer and tune in again next December. Thanks for all your reports and the fabulous pictures. Your info over the winter months has been really appreciated and has helped with my own personal plans for the hill trips . I spent today on Slioch , a great walk and the views over the full Torrridon range were superb. Thanks again , to all the team. Thanks Graham. Have a good summer and tune in again next December.